The purpose-designed modern workshops of Nicholson & Co in Malvern are equipped with a full range of up-to-date equipment in all departments, from our timber mill to our pipe making shop, console shop, soundboard / actions / wind-system workshops, electrical department and computer-aided design office. Of course, machinery is only as good as the craftsmen and women who use it. We are quietly proud that the contended and productive atmosphere in our plant ensures that, once trained, most of our staff serve with the company for life. The advantages of having a pipe-maker (for instance) with forty years experience of our house style and build-quality are self-evident. On receiving an invitation from a prospective client, one of our directors will make a site visit to discuss the client’s aspirations and survey the existing instrument, if there is one. A technical report will then be compiled, a set of comprehensive proposals drawn up and an accurate price quoted. Further discussion is then invited. If the work goes ahead, our staff begin the planning, drawing and construction process. We offer full computer-aided design facilities, enabling accurate working drawings to be produced and modified for all components. From our stores seasoned timber is selected, along with leather, tin, lead and electrical components, items such as the blower and the keyboards are ordered from our suppliers – and construction starts. Below you will find links to the various processes – design, pipework, soundboards (on which the pipes stand), mechanisms (‘actions’), the wind system (our combination of traditional ‘bellows’ and modern regulators) and the beautiful and comfortable consoles for which we are highly regarded. Once completed and tested in our lofty and spacious assembly area, the organ will be disassembled, carefully packed-up and transported by road, sea or air to its destination. The installation process takes several weeks and is followed by the vital final process – regulating the speech, tone and pitch of every pipe in the organ. As some organs can have literally thousands of pipes, this can take weeks of intensive, patient work by our skilled voicers. After an organ is complete it will need tuning from time to time (as temperature and humidity very throughout the year); just before Easter and Christmas are particularly appropriate times for this. Occasional mechanical adjustments are undertaken during a tuning visit.  Our nationwide team of sixteen tuners is able to look after any organ we have ever built or rebuilt, as well as to attend to the tuning of organs by other companies when asked.